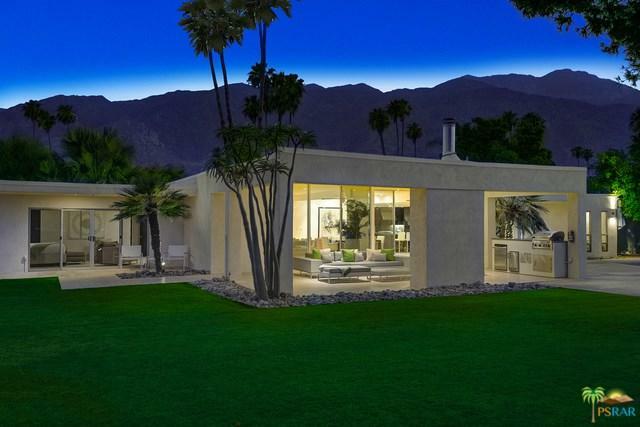 Beautiful and updated Mid Century Modern within Indian Canyons golf course. This home is an entertainer's delight. Oversized private lot with breathtaking views and remodeled pool and spa. Open floor plan with updated interiors allow for the perfect Palm Springs lifestyle. Chef's kitchen opens to an open dining area separated by dual living areas. Sliding glass doors open to a large covered patio with barbecue, bar and second fireplace. Three bedroom and three baths with an ensuite office currently being used as a fourth bedroom. The prefect primary residence or getaway located in one of Palm Springs finest architectural neighborhoods.